Communication is an essential part of your working life. It helps you to bond with your coworkers, helps while trying to solve issues, and even helps in a business meeting. A business cannot be successful without joining your minds and sharing your ideas with business professionals backing your ideas, nurturing them and also developing communication strategies. Asynchronous communication: In this type of communication, employees communicate through emails, direct messages, and post updates about the problems that are not time sensitive and can be viewed as the schedules. Synchronous communication: Over here the people decide on the time and the method of communication, e.g., video meetings or calls, live chats, etc. In-person communication: This type is the most used of communication in businesses. Here they have face to face communications such as business conferences, company retreats, or activities which involve people being in the same room. Workers on distant teams who have virtual offices and their communication can be done online digitally. Though having effective communication could be an issue for the business, as solving office issues, planning, building strategies, and relations are easily done when people are in the same room. The idea over here is to implement all those ideas in, to improve virtual office communication. Prepare a set of guidelines for each task when you perform them, and keep the channels of communication clear so that it does not cause confusion. In a task, the person executing it should be clear of the guidelines and whom to answer to. This is so that it eliminates the complications of messed communication, crossed connections, waste of time, and frustration. Make sure that while performing that task, you only use the guidelines allocated to that task and not mix it up as it will cause confusion and it will result in you trying to solve the issues instead of working. It is a difficult task to set up schedules for the team members as they could be in some other part of the world and the timings would not be same, and all of his would cause confusion. Use business tools such as calendars, methodologies, and task management systems to keep track of when the tasks are being performed, by whom and finished. You should regularly update schedules and use references. To keep the team on the same page, keep the to-do lists updated. You have to maintain a relation with your coworkers, which can be done informally. There are two types of communication Formal and Informal. Virtual office communication are better with both but more of informal communication. Formal communication is the type of communication which is followed naturally in a workplace, you have limited contacts and are only allowed to speak to some of your coworkers or bosses, this type of communication is benefits those businesses that are in the same building and in order to keep everything professional, settled, and to minimize confusion. Within formal communication, businesses have a particular channel of communication which the employees have to follow, e.g., vertical channel, and the information goes in a chain reaction, from the boss to the CEO to the Managing Director to the Operating Managers to the workers. Informal Communication is the type of communication that is followed by everyone in different ways and at different times. It is that type of communication that coworkers have in the canteen or out of the company. This builds a relationship between the coworkers. It is handy in many ways to a company as it spreads around and does not have boundaries, this can help improve virtual office communication in many ways. It is also called grapevine as their roots spread everywhere without consideration to the area, e.g., the worker may have personal contact with the boss, or a superior might be friends to an employee. 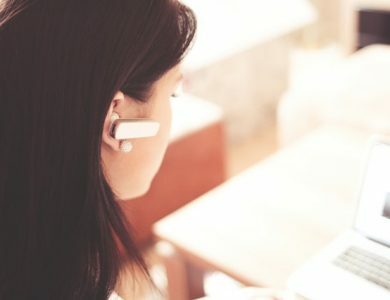 Having a personal connection with your coworker improves virtual offices communication as you will be able to understand what is going on with the other person and will be able to sort out any issues faster. Since virtual offices do not have lunch breaks, to improve virtual office communication, make intervals where you all take a break and connect through video calls or other means for non-work reasons and create a sense of community to keep distractions away. In a virtual office communication is depended on written emails or other written sources. Make sure the written messages are explicit and decoded correctly if the word is not understood ask for the person to explain again. Messages can be easily misunderstood, so it is better to explain yourself while writing them. Give as much information you can give as more information will be helpful than less because less information will only create more confusions and more time will be wasted in asking for all the information again. Ensure sufficient and frequent communication well enough so that both the employer and the employee will be contended. A majority of businesses set up deadlines on each task in order to avoid gaps or surprises. Virtual office communication can be improved through meetings. Organize quarterly or yearly meets once or twice a year. This will help the employees who haven’t met their coworkers to engage in face to face conservations and get to know each other. The get-togethers will help the employees get to know each other. Organize fun management productivity activities so that they can work together and get to know each other. Activities performed like this in games during the meetups will help increase the team efficiency as they will understand each other and get to know about each others strengths and weakness. This activity will teach them teamwork and will build a working relationship that will benefit both the company and the employees. Virtual Office in the generation of cost-cutting might save you a fortune of money. However, the virtual entrepreneur has to be in the state of art management concept that will promote the concept of hiring the best-qualified personnel for the jobs, and by doing so, he creates a fail-safe environment. The entrepreneur has to be well settled and patient with excellent skills and should know how to use management tools to the advantage of the Virtual Office Communication, and enhance the capability of the employees by good communication. Working in virtual office workers might feel unrecognized since you are not in touch with every one of them, so it is better to have employee recognition programs. Celebrate when achieved something together, praise and encourage them and they will give better results as just a little encouragement towards the right side it may change a persons mind entirely, and you could persuade him to do better. Acknowledge those who have performed well as a little praise may energize the person to keep doing better and better. Times are changing fast if entrepreneurs do not make up or maintain the pace with the latest developments in technologies in the competitive world today they are doomed to fall back. If the entrepreneur is smart enough, clever steps can help save huge money and time and one of the best ways for them is to improve virtual office communication.